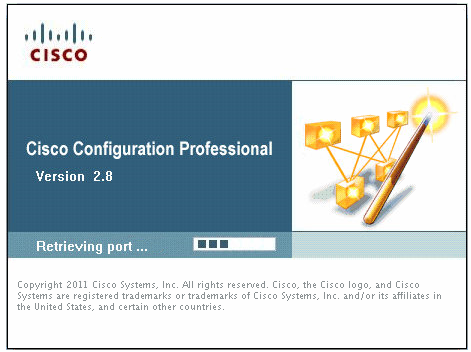 Cisco Configuration Professional (Cisco CP) is a GUI based device management tool for Cisco access routers. 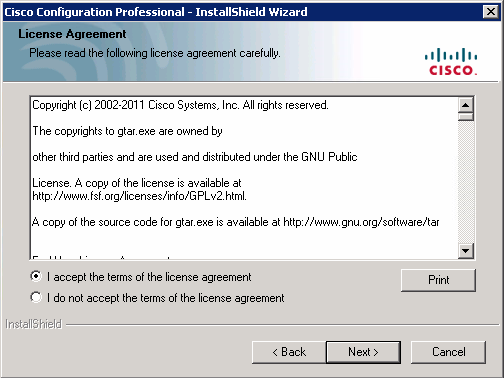 This tool simplifies routing, firewall, IPS, VPN, unified communications, WAN and LAN configuration through GUI based easy-to-use wizards. 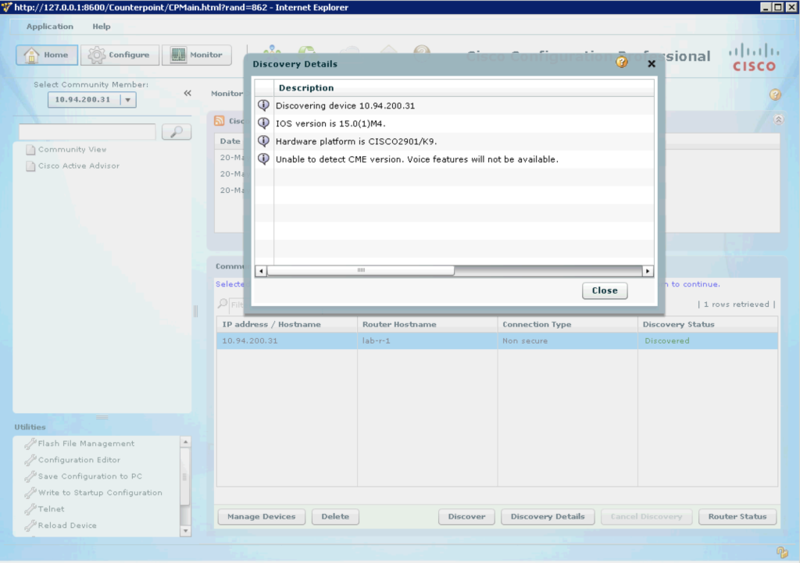 It has been used to replace obsolete SDM (Security Device Manager) product. 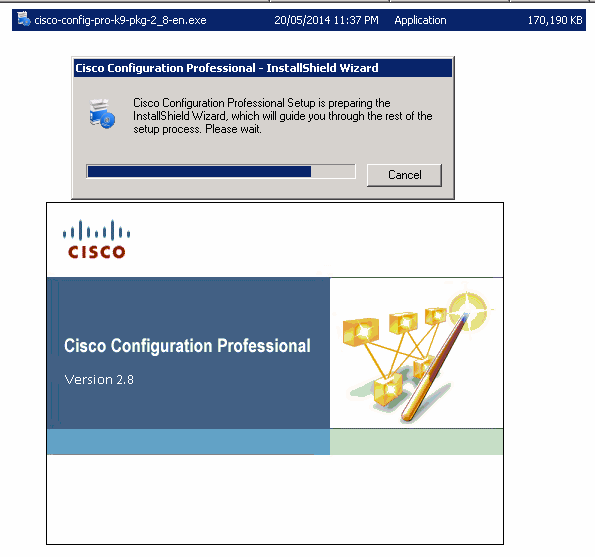 Cisco Configuration Professional offers smart wizards and advanced configuration support for LAN and WAN interfaces, Network Address Translation (NAT), stateful and application firewall policy, IPS, IPSec and SSL VPN, QoS, and Cisco Network Admission Control policy features. 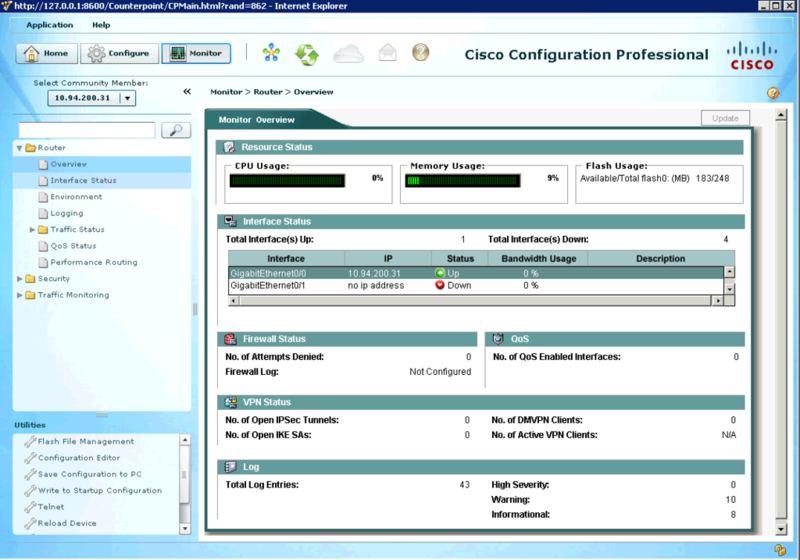 The firewall wizard allows a single-step deployment of high, medium, or low firewall policy settings. 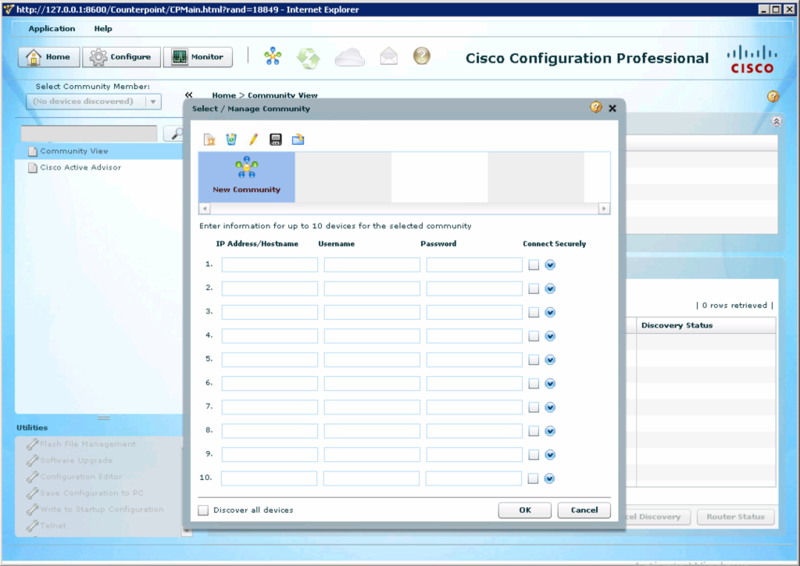 IT managers can easily organize and manage multiple routers at a single site. 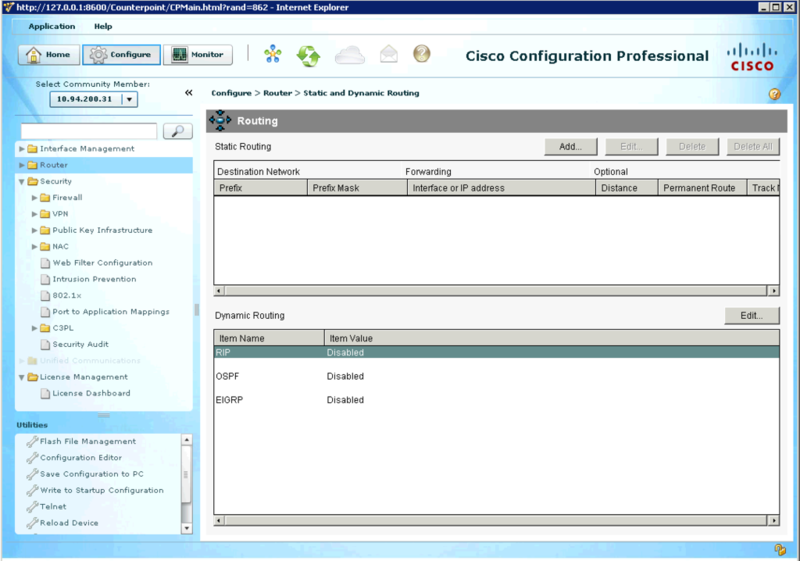 Cisco Configuration Professional Express is a GUI-based embedded device management tool for Cisco Integrated Services Routers (ISRs). 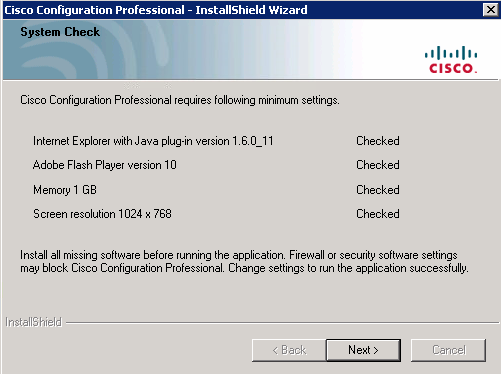 It is available on the flash of the router and used for bootstrapping and basic configurations. 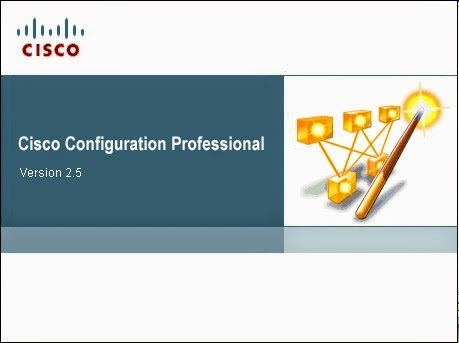 Cisco Configuration Professional is offered in two versions - Cisco Configuration Professional and Cisco Configuration Professional Express. 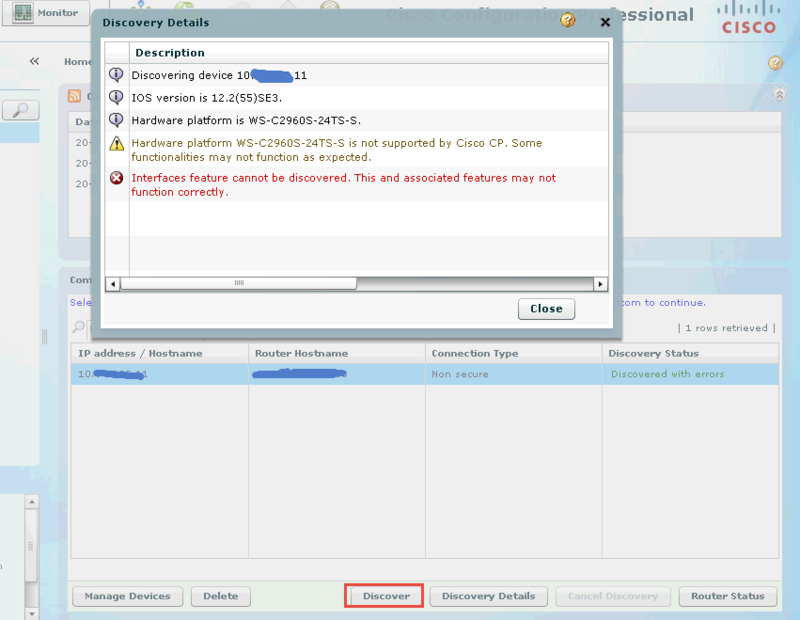 In this post, Cisco CP 2.8 will be used as an example. 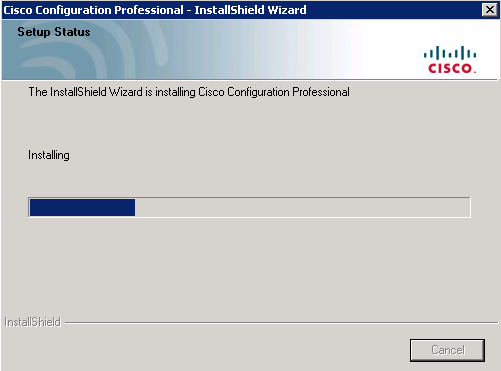 Installation procedure is quite straightforward. Double click the icon to launch application. 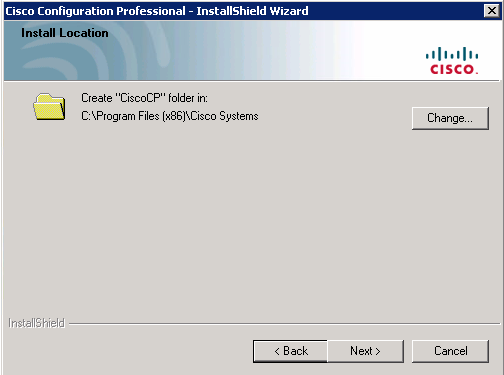 Note: If you are getting an error like this : "Access to C:\Program Files (x86)\Cisco Systems\CiscoCP\bin\_uiDefaultLoadComplete was denied." with an opened blank IE page, you will need to run your CCP as administrator. 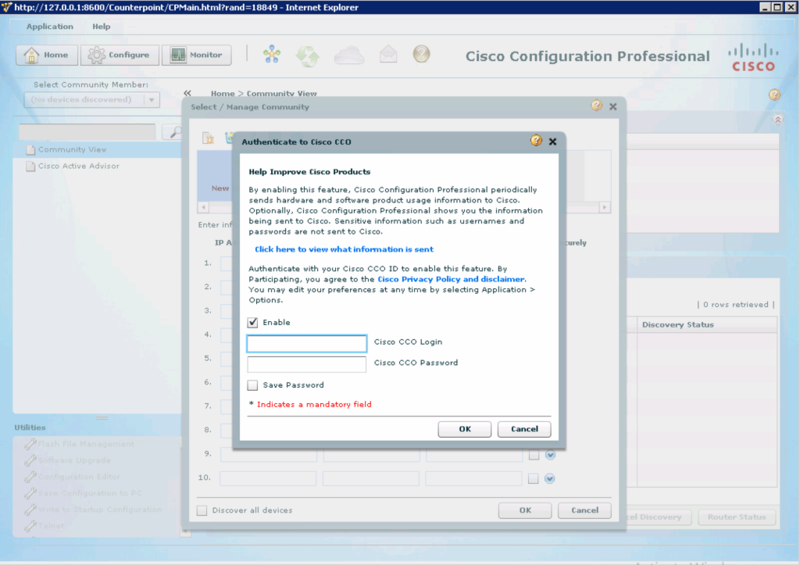 Cisco Configuration Professional supports Secure Shell (SSH)and Secure HTTP (HTTPS) to communicate with the Cisco devices. 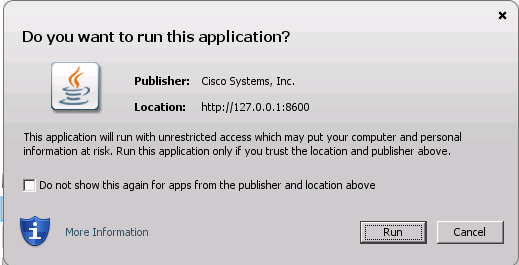 You can even connect Cisco devices using HTTP instead of HTTPS, if you have slow machines. Remember to use HTTP only in a demo or training session. HTTP traffic is not enmcrypted and someone in your network may capture your network credentials. Use HTTPS only in a real production environment. There are some configuration has to be done first. Else you will get connection errors. 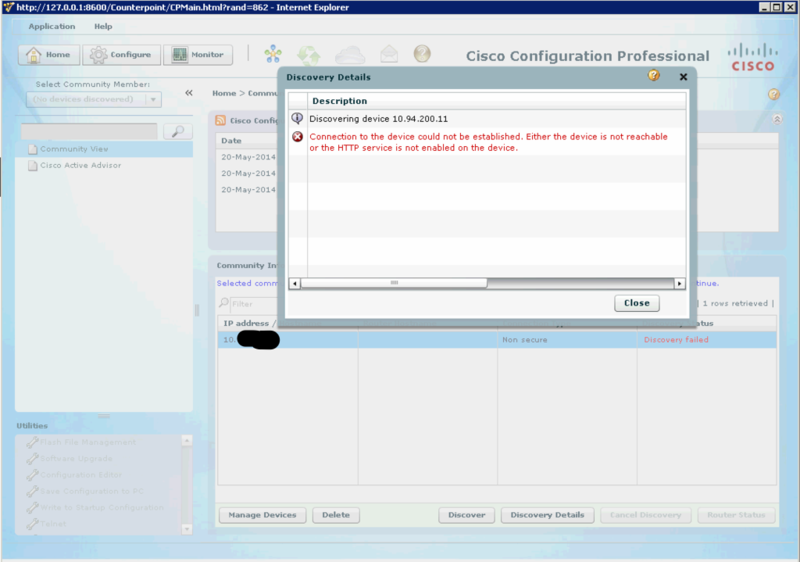 We have to enable HTTP/HTTPS server on Cisco router and configure a user database for login.